Here’s a fun game you can play during a meeting break or at a dreadfully boring party. I promise; it won’t take long. This has actually become a joke in libertarian circles. But it vividly demonstrates a problem in the way we process information. In a nutshell, confirmation bias leads us to overemphasize evidence that supports our position and understate, or disregard completely, facts to the contrary. Ultimately, confirmation bias can lead us to believe something could have only developed in a certain way because it developed in that way. A thing’s very existence serves to confirm the process creating the thing, and we become completely blinded to the possibility of any alternative. Take the roads example. Government primarily served as the engine driving road construction in the United States. 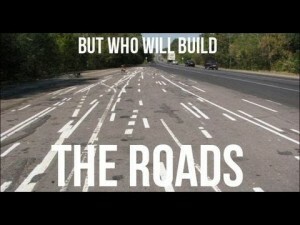 Therefore, supporters of government intervention into the economy argue that without government, we wouldn’t have roads. Their proof? 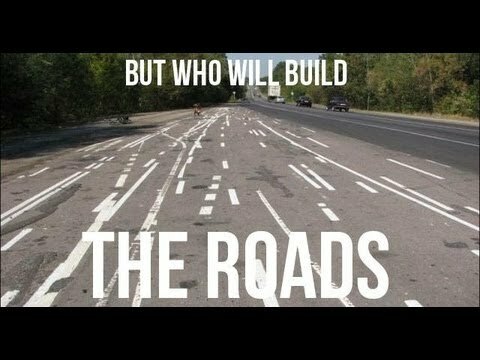 Government built the roads! But stop and consider the absurdity of this position. These folks completely ignore that fact that another process might well have brought about roads cheaper and more efficiently. Or, to take the thinking even further, maybe some other transportation grid would have evolved had the government not fixated on building roads. I mean, do these people really believe that the entire population would simply sit inside their homes thinking “Damn, I wish I could get to town,” if government hadn’t come along and build some roads? The only thing we can really say about government road-building is that they did and it seems to work for us. But we cannot logically take the next step and declare that it was the best or only way to develop a transportation system. The mere existence of government roads does NOT confirm the superiority of the government road-building process. Maybe government does serve as the best mechanism for developing transportation systems, but we certainly can’t take that fact for granted simply because it happened that way. I really hate the cliche’ “think outside the box,” maybe because so many people use the phrase and so few people actually do it! Tom Woods addresses this kind of thinking in another context HERE.